The European Travel Commission, an association of National Tourism Organizations from 35 member countries, will launch a new creative campaign to promote Europe as a tourism destination to the U.S. consumer. 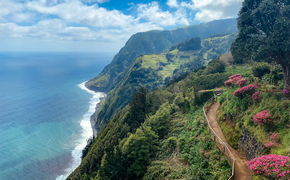 The "Follow Your Dreams: Visit Europe" campaign aims to educate travelers on the compelling tourism offerings available within Europe with an emphasis on history, culture and gastronomy, with a special focus on first-time visitors. The new campaign will consist of several creative digital campaigns and contests hosted on the ETC website, as well as the official ETC Facebook page to offer travelers the opportunity to discover Europe's tourism offerings and win “the trip of a lifetime.” Additionally, the new campaigns’ aim is to transform transform the term "Visit Europe" from a static website name to an actionable tagline for travelers. "The primary goal of our new creative campaigns is to provide travelers in the United States with the most current information about visiting Europe in the easiest, fastest and most convenient way possible -- through digital media," said Jan Rudomina, chairman of the European Travel Commission in the U.S. "Our recent Trends & Prospects Report shows that travel to Europe has increased over the past year and exchange rates are favorable for many destinations within Europe. This is a great time to travel to Europe and enjoy the amazing culture, food, and history available at an unparalleled value." The first contest, launching this month, will encourage fans to superimpose images of themselves in their dream European destination and post on the ETC Facebook page to automatically enter the "I Wish I Were There" contest. The top five photos will be selected by the greatest number of "likes" from Facebook fans, and will be entered for online voting to determine the Grand Prize Winner, who will be awarded a dream European vacation to their destination of choice. Several destinations throughout Europe will offer sponsored trips inclusive of hotel stays, ground transportation and cultural activities within various cities. For more information, visit www.visiteurope.com.